Everyone loves a win-win, right? Well, now’s your chance to grab one. FFPress is offering $10 off any order if you donate $5 or more to the Wally Foreman Foundation. Yes, you heard that right: if you give $5, you get $10 off. You win, while supporting a good cause and helping the Wally Foreman Foundation win. We kind of feel like Oprah right now, except, instead of everyone getting cars, they get $10. We all have to start somewhere, right? It’s as simple as it is clunky. We want to be up-front: this isn’t the smoothest process and we’re sorry, but it was the best we could manage. Head to the Wally Foreman Foundation website (www.wff.org.au). Click the big DONATE TODAY button. Can’t miss it. Make a donation of $5 or more. You’ll receive a “thank you” email, detailing your donation total. Forward that to info@ffpress.com.au. 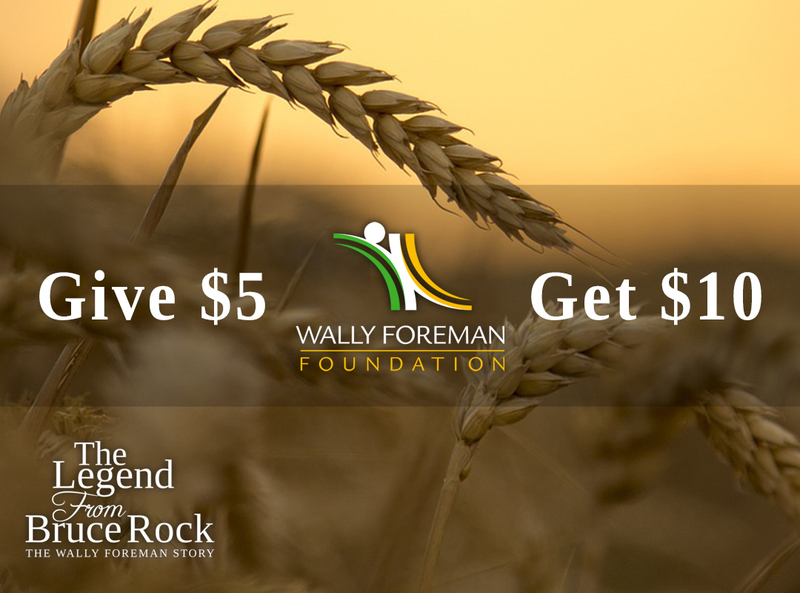 You’ll receive back a discount code to be used when purchasing The Legend from Bruce Rock: The Wally Foreman Story from FFPress. The Wally Foreman Foundation aspires to continue the work of respected sports broadcaster and administrator Wally Foreman, who was a strong and tireless advocate for West Australian athletes and coaches, before his passing in 2006 from a heart attack. The Foundation, through its activities and the generous support of the community, raises funds to support athletes and coaches who are not covered by existing scholarships in their pursuit of sporting excellence. The tremendous and ongoing support of organisations such as the Carbine Club, an inaugural and consistent benefactor, has helped the Foundation issue 42 scholarships, with grants presented each year at the WA Institute of Sport annual awards night.